All industries are growing at a rapid pace with emergence of more and more companies. For a company to exist in this race, it needs to mark its presence and grow at the same time. Knowing competition for a company and accordingly positioning the products is something businesses are concerned with today. To get a clear idea of the differentiated positioning the company needs to identify its potential competitors. A thorough analysis of the competitive products, their features, strengths and operational excellence would give the company a clear picture of the market operations and the trends. Understanding the value proposition provide companies a sustainable competitive advantage which can be utilized in attracting customers from the competitors. In the process of identifying competitors the company should consider the product, substitutes, technological challenges, new entrants, old established brands. Future competitor analysis also plays an important role in creating a brand presence in the market for a product. With the help of senior management direction and insights the company can have a better picture of the competition in the market existing for its products and services. Also from the market research reports and information published by the competitors help in identifying the details of the competitors and their ways of operation. In order to understand the competitor in the market for a particular product the several analysis are to be carried out such as future competitive analysis, marketing research and meetings and discussions with industry leaders and experts. Understanding the emerging technologies, new entrants and actively scanning the industry gives a complete idea of the competitors and their structure and functioning. A SWOT analysis of the available list of competitors also gives a fair idea of the trends the competitors following and can help in improvising the products of the company and expand the customer base. Every business that we see today is part of one or the either industry. With the moving pace and increasing consumer demand the business are expanding. Competition is something which has always been there and shall exist till ever. To find a way out and present the product in a better way in comparison to the competitor’s product is every business’s requirement and they should be focused towards it. 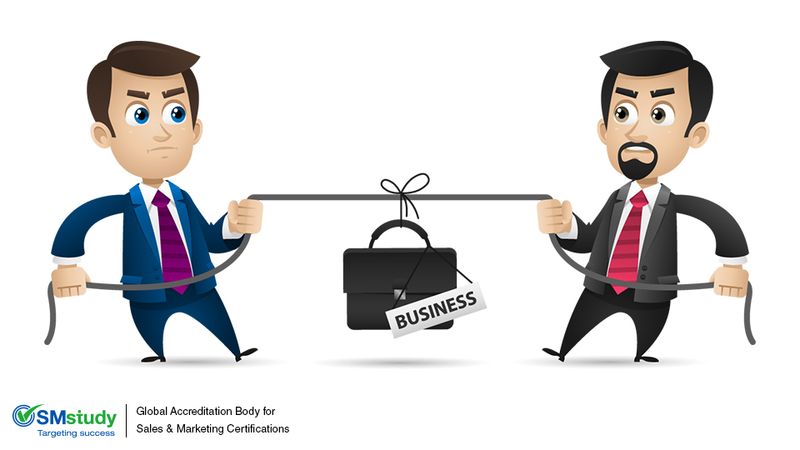 Identifying competition empowers the business and gives scope for improvement, which enables it to prosper.